Frisco drivers who prize in-car technology are sure to be drawn to the new Mercedes-Benz E-Class. Between connectivity, entertainment, navigation, and safety, the new E-Class covers all the bases with the systems installed, and various options and upgrades allow you to customize your E-Class interior exactly to your liking. 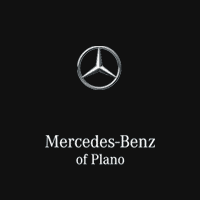 Browse the E-Class inventory available at Mercedes-Benz of Plano, and then contact us to arrange a test drive!